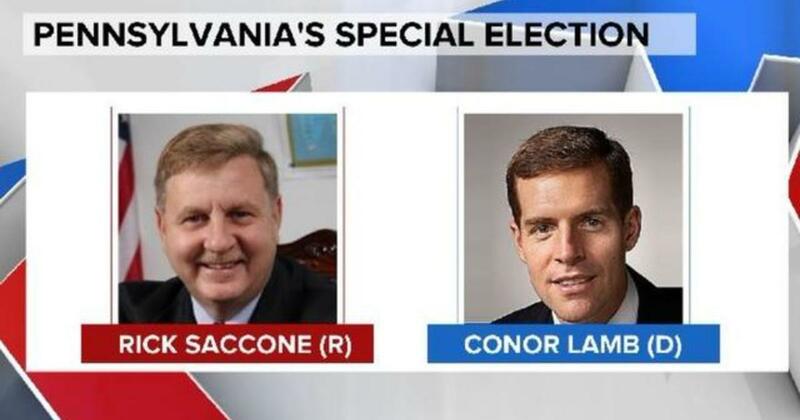 The vote count for those who showed up to cast a ballot on the 13th of March 2018, the votes were virtually tied with the democrat Conor Lamb having a slight lead over the republican Rick Saccone. The absentee votes from Allegheny county bolstered the Democrat’s lead by over 800 votes. 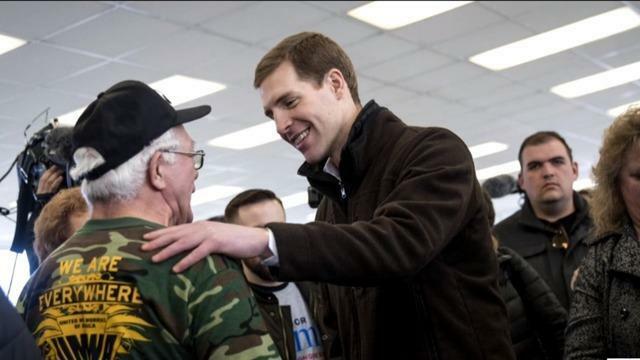 As the rest of the absentee votes come in on the 14th of March, we’ll know more as to how close this election is, but at this point, the Democrat Conor Lamb will be able to sustain his lead. In a state-wide race, if the election is within .5 points, there will be an automatic recount. But this is not state-wide, and so. I don’t know what the rules are. 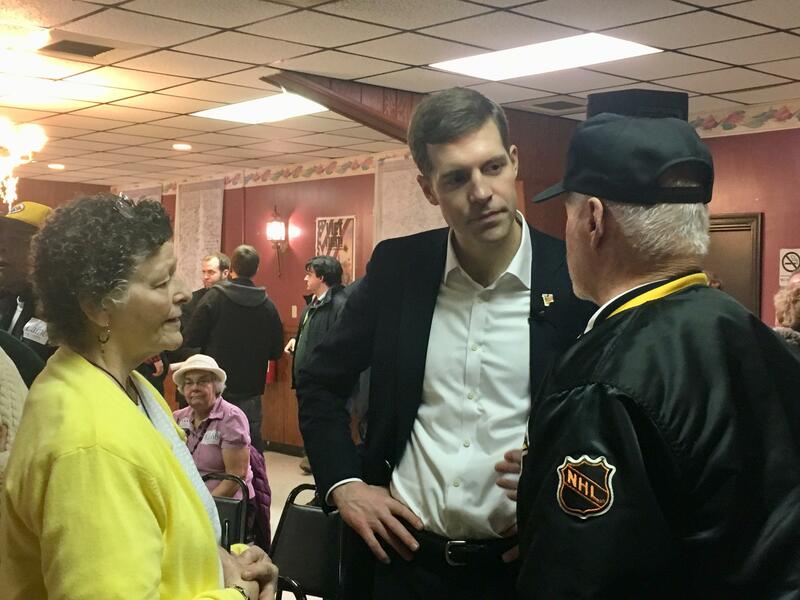 “What does it take for a Democratic Candidate like Conor Lamb to win in a March 2018 special election for a US congressional seat in Pennsylvania’s 18th district where the republican President Trump won by 20 percentage points in 2016; where the number of registered voters typically vote for the republican party representative in numbers that far exceed that of democrats and where the Democrat was outspent in a 10 to 1 ratio by his republican opponent? “George Campbell, a retired miner from Westmoreland, told the Guardian he was there because he had received a letter from the union. Although the terse, mustachioed 68-year-old said he “voted Democrat more than the other”, his choice in 2016 “wasn’t Hillary”. He was just worried about his pension, he said, adding that in the voting booth, “I pretty much go with what the union says”. “Saccone has been running close to Trump, who held a rally for him on Saturday night. The chance to speak before the president, Saccone said, was “the ultimate blessing”. 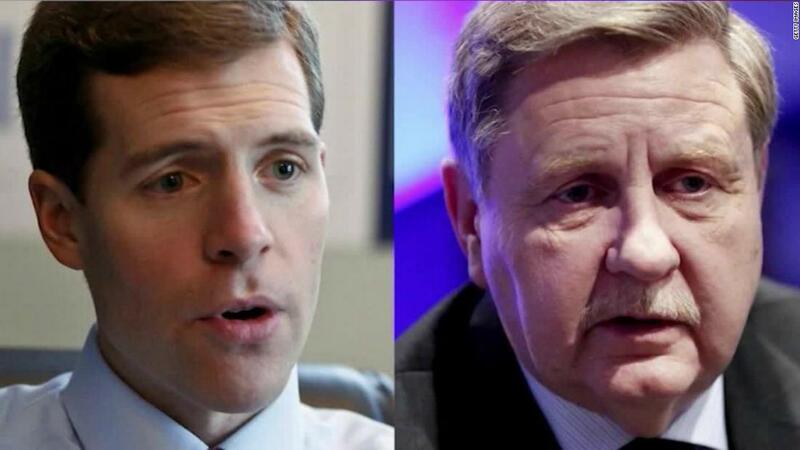 Saccone has become increasingly bitter, towards the media and his opponent. In a debate, he claimed Lamb did not know the difference between North and South Korea. That brought a rebuke from the moderator. On Monday, speaking before Donald Jr, he went further. Next Dear President And GOP, Why Does It Takes A Strong Woman Leader To Stand Up To Russia? Please forgive the off topic link, but it is pretty important at this time.. Thanks for sharing this. I will be blogging on this later. I am sick of republican sycophants covering for the president on the Russia issue. This has gone way too far. Our foreign policy is being determined as to what is in the best interests of Russia, UAE and Israel versus what is in best interests . I sure hope that this Democratic victory holds up when all the votes are counted, Gronda. None of the republican tricks worked this time. People are paying more attention to political news than in the past. I’ll relax when Saccone concedes. Thanks, Gronda. Gronda, there are two lessons here – one for the GOP and one for Dems. For the GOP, you hitched your wagon to a man with little character who shoots from the hip. He is taking you down a perilous path. You have described the winning formula for democrats to win elections. Mr. Lamb was a great candidate who fit in with the constituents he hoped to represent.. The DEMS better take this lesson to heart. Any republican candidate cannot claim to be Trump-lite as there is only one person who can get away with his indecent behavior, and that is President Trump.